How will you use the English names? Discussion in 'Pokémon Games Discussion' started by Linkachu, Nov 23, 2010. Now that the English starter names are confirmed, will you begin using them exclusively, keep using the Japanese names, or use both versions of the names interchangeably? The same can be said for all future revealed names. If your first language isn't English, tell us how you plan to use your first language's names verses the English/Japanese names, too. Edit-note: I'm not asking about your opinions related to the quality of the names here, just how you use 'em. I'll admit that when new names are revealed, I do try to use them as much as possible. That way when the games are finally out in NA, they feel more familiar and less alien. That said, I don't suddenly pretend the Japanese names don't exist and I'll continue to use 'em when appropriate or interchangeably. Sometimes when I'm discussing the Japanese Pokémon Anime series I'll use the Japanese critter/character names because they're fresh in my mind. P.S. - Keep the outright name bashing to another topic, plzkthx. P.P.S - Keep the "people are stupid for disliking the English names" bashing to another topic, too, kthx. Re: How will you handle the English names? I'm glad you told people not to name bash. Anyway, it'll take a little while for me to get used to English names, but I most certainly will. I'm trying to use the English names exclusively, but I do mess up sometimes (I said I was going to call my Tsuta Ivy after it's English name last night XD). Besides the more you use the English names, the faster you can get used to them and leave the Japanese names behind. I've purposely not memorized half the Japanese names to make the transition easier--for example, I can't recall the names of the middle evos of the starters. Most of the Japanese names I didn't even kind of begin to memorize. Some I recognize, but could never remember off the top of my head. So I'll pretty easily transition over with almost all of them. (Miju is the only I'm having trouble with :T). Since I'm bad at remember japanese names, I guess I'll start use the english ones. Or both? I'm not quite sure yet. Well, at first, I tend to use the Japanese names, but I will start to use the English ones. Eventually, for the Pokemon I meet and use often in-game, I will use the English name often enough that I will forget many of the Japanese ones. I think I'll get over it well. However, Miji is definitely getting a nickname if I get one. When I first saw them, I really didn't care and I still don't but I couldn't help but call Snivy; Snivellous x3 but anyways, people shouldn't really get angry over the name changes, they really shouldn't AT all. In a year, almost no-one will care or even think twice about it. The only ones that will are the ones that couldn't possibly accept anything that didn't come from the GLORIOUS NIPPON - ALL BOW or just plain can't accept anything that doesn't fit with their own precious vision. Ultimately, all Pokemon names are asinine and dumb either way, whether it's the localised version or the original Japanese. To actually expend any energy in caring about it is pretty pointless. And, like I said, as soon as the games are out and the novelty wears off, people won't even think about it for a single second afterwards. Do you guys really think twice when you start talking about dumb names like Garchomp or Abomasnow? What about even Chikorita? What the hell does that name even mean? These names are just arbitrary appellations applied to give the creatures, firstly something to be called, and secondly something simple and (normally) obvious as to their etymology so the target audience can understand it. I somehow doubt the average 8-10 year old really gives a damn about why a Snivy is called a Snivy, what other things it could have been called or why where it's found is called the Unova region as opposed to any other possible name that it could have received. The fan outrage over these names is just a collection of signs at how stupid the fans of this franchise can be at times. If you're older than a teenager (and thus, legally, on this website), you're older than the target audience of this franchise. It's great that you can enjoy it too, but you're not what they're aiming their money rays at. If you're old enough to actually care about what these things are arbitrarily called in any language, then you're similarly just too old to be arguing that your opinion matters in the decision making taken to come to those names. If you're old enough to have been a fan of this franchise since you were the target audience, then why the hell are you making the same Goddamned complaints every few bloody years when a new Generation comes out only to completely abandon your caring the instant you actually get using the Pokémon? How people suddenly forget every time that a new Generation comes around that ALL THIS NONSENSE (including instant dismissal of all the new Pokemon for being too 'ugly', or 'weird' or 'not like a Pokemon') HAPPENED THE LAST TIME TOO, AND THEN NO-ONE CARED 2 MONTHS AFTER THE FACT absolutely baffles me. Do you all develop the memory of a Goldfish when a new Pokemon game comes out? Err, Alex, that's not what I asked. At all. I asked how you use the names on a general basis, not how everyone else does/should. Can we get back to the actual topic now? The same way I handle everything else. For now, I'm going to stick with the Japanese names, but something tells me, like with the last generations, the english names will grow onto me, and I'll end up calling it "Snivy" instead of "Tsutajaa" because, like it or not, the english names are easier for me to spell. :/ So yeah, I'll be sticking with the japanese names, interchanging with the english names occasionally, and then I'll just flat-out use the english names only, just like Gen IV. I tend to use the English names I like or at least can live with and only stick to Japanese names if I REALLY can't stand the English name. And even so, I get used to it eventually. 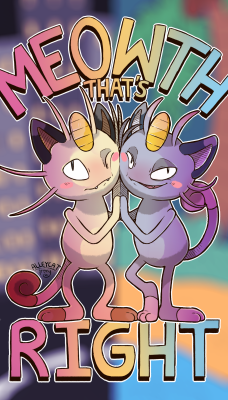 Took me years to accept Sneasel and Swellow, and I still think they're really horrendous names but I use them anyway. But English names rarely get exclusivity for me if I've been using Japanese names for bloody aeons. Gen V, I feel, will be no exception. Obviously, I'm used to calling the starters by their Japanese names, and it'll probably take me a while to fully use their English names purely out of habit. With the rest of the Pokemon though, I'll use their English names as soon as I know them. I find some of the Japanese names a mouth full, and I have no idea if I'm even saying them right. I've avoided the Japanese names in some cases, like I call Aaken 'Fossil~Birdie' and Shubarugo 'KnightBug'. There's no reason to not be using the English names save for the two points I mentioned previously. If anyone does fall into the two categories listed previously, they do deserve to be labelled an 'idiot' for the reasons mentioned previously. I mean, really, you can't just decide an apple isn't called an apple 'cos you don't like the look of the word. That's its name, given to it by the people with the right to decide that name, that's what you should be calling it. Except apples aren't called "apples" in every language. But I digress. I've seen you use the Japanese names when referring to Japanese Anime series (ie. Shinji, Hikari, Jun), and that's basically all I'm asking about here. Some people will do that based on the context, and some people don't. There really is no right or wrong answer for this thread. It's just a light-hearted question and nothing more. Don't read into it too much. I'll mostly use the english names as I can never prononce the japanese names, so I didn't bother learning them. If someone said the starters japanese names I would regonise them, but other than that I would be stumped. For me it's easier to learn the english names. Although when it comes to anime and manga I prefer japanise names, odd. Well, until I get associated with their names more, I'll more than likely be using the Japanese names until I do, or until I get the games. Personally, I may just give them nicknames (which is something I rarely, rarely do) this time around. 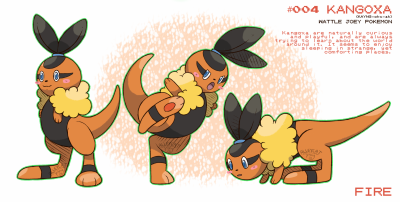 However, as Alex stated, I'll probably forget about it in a few months, as well as their Japanese names (I still remember Goukazaru (Infernape), oddly enough.). This will be labeled as my favorite administrative debate ever! I'll probably be using their English names mostly, because I have a talent for butchering words/names in Japanese. The only English name I don't really like is Oshawott, so I'm probably going to keep calling it Mijumaru until I get one of the games. I only play the games when they come to USA and almost 100% of the time don't even nickname them. So yeah, english names, I will however nickname here and there depending on my mood, I might want to have nicknames on this generation but I don't see myself sticking with them at all. I don't even bother memorizing the Japanese names because why should I? I'm getting the game only when it's in USA and I have no use in learning Japanese, I will learn Italian and Ancient Greek because I plan on visiting Europe and traveling a lot (since you can literally back pack across the almost all of continent).